Mr. Couch has 40 years of corporate, executive and turnaround management experience, covering over 500 assignments in a broad variety of businesses, in a total of 14 countries. Since September 1986, Couch has been the founder, chairman of the board, CEO and managing principal of Diablo Management Group (DMG), a nationwide management consulting company based in the San Francisco (East Bay) area that provides services primarily to distressed companies, investment firms, banks and creditors which are involved in mergers, acquisitions, turnarounds, workouts, reorganizations and sales (of equity and assets). Through DMG, he has served in various interim executive and/or advisory capacities in companies experiencing managerial, financial or operational difficulties. In addition, Couch has handled numerous assignments as a Chapter 11 bankruptcy trustee and as a trustee (assignee) in assignments for the benefit of creditors (ABCs). 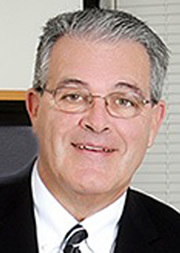 Prior to founding DMG, Couch founded and managed RGC Associates, which operated troubled companies, usually in an interim president/CEO capacity. Couch was also a senior vice president and principal with INCO Venture Capital Management assisting in the selection, growth and transition of early-stage companies. Following and eight plus year career at Xerox in managerial and vice president roles in both the copier manufacturing and printing systems groups, his early executive experience included general management roles in two mid-sized companies. In addition to his crisis management experience, Couch has been a board member of several startup companies, the past executive director of the Tri-Valley Technology Enterprise Center (TTEC) and periodically accepts counselor/advisor/mentor roles with CEOs who are managing rapid change in their own companies. Couch received the Simon School Distinguished Alumni Award at the University of Rochester, and has served on the Simon Executive Advisory Board and the Simon Alumni Advisory Board. He is a frequent panelist/presenter at industry conferences and has taught numerous executive lecture series programs in graduate business schools. Experiential Learning, Business Project Management, Executive Performance Planning, and Mergers/Acquisitions.